Solar energy has been a highly popular sustainable energy source over the last few decades, however it is probably only during the last 5 years the technology has become advanced and affordable enough that more people are able to invest in solar technology. In the most basic terms, solar energy systems simply harness the sun’s energy, converting it into electricity to power homes and commercial buildings. The true benefit of solar energy does depend on where in the world you are located. If you are based in the UK for example, then the weather does not lend itself too well to solar energy, however living in Perth, Western Australia, solar energy systems is what could be called a ‘no brainer’. Delving into the topic of what are the key benefits of solar is something that we know a lot about here at Solar WA. Outlined below are what we feel are the key benefits when it comes to getting solar panels or a solar energy system. As stated above, harnessing the sun’s energy to power your home is what is referred to as ‘clean energy’, meaning you are not relying on an external power grid. In an ideal world you would like the energy generated from your solar panels to cover all your power needs, however sometimes it will only offset the total power needed with the rest needing to come from the power grid. Energy bills in Western Australia (WA) can be quite high in cost especially during the summer when more air conditioning is required due to the hot weather. As such a solar energy system can really help cut down the monthly energy bills throughout the year. Installing a solar energy system can bring with it a one off cost, however we often see modern solar systems give a swift return on investment. 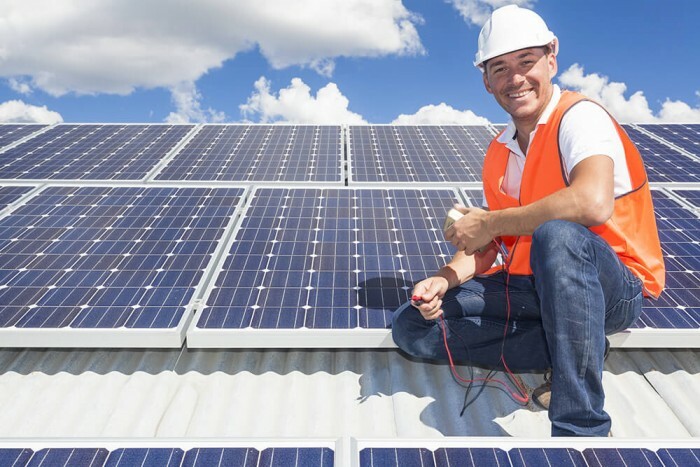 The initial installation of a solar energy system is where the main cost can come from, however once installed, there is very little maintenance each year. So unlike many new technologies, there are no ongoing upgrades or contracts required to continue with your energy and financial savings. A little mentioned benefit of a solar energy system is they are actually silent, so there is no noise pollution when generating your own power, which in itself is a very impressive feature. Purchasing a home with a solar energy system and pre-installed solar panels, especially in Perth, WA is a major selling point. Home buyers know that the long term financial benefits for their energy bills will be reduced, meaning they will be willing to pay more for a home with a solar energy system. If there’s one thing the team at Solar WA know about it is solar energy and the latest solar tech coming on the market. Contact our team to find out more about the benefits of getting your own solar system today.